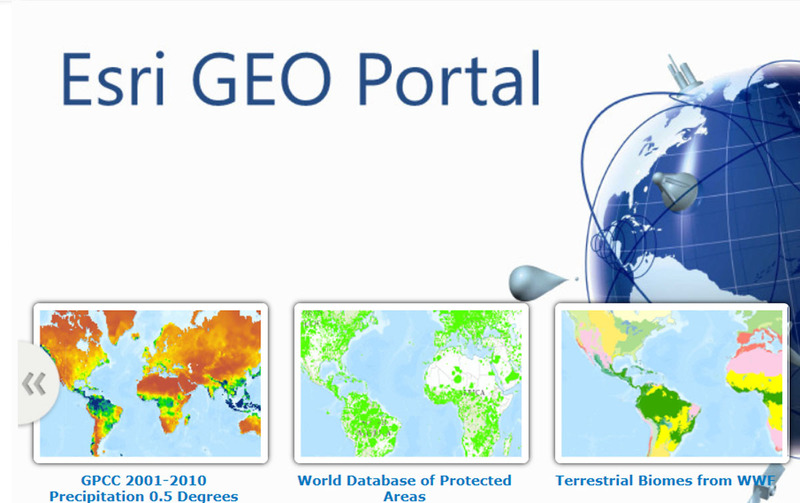 The Esri GEO Portal data bridge connects disciplines. Redlands, California—The Group on Earth Observations (GEO) has launched GEO Appathon 2014. Esri is supporting the event by offering developers free ArcGIS for Developers accounts. Hackers and developers may use these rich toolsets and the Esri Community Portal for GEOSS to build applications that use data hosted on the Group on Earth Observations System of Systems (GEOSS) platform and positively influence the future of our world. Noncommercial individuals and teams from any background may participate in the app challenge, which will run from May 7 to August 31, 2014. To qualify for Esri's offer, developers must first register for the contest on the GEO Appathon 2014. They can then go to Esri Community Portal for GEOSS to connect to the ArcGIS for Developers website and sign up for the developer account. Developers can also post their apps to the Esri Community Portal for GEOSS in the GEO Appathon 2014 group area. "GEOSS is an extraordinary resource that can be used to bridge scientific data with real-world design," Esri president Jack Dangermond said. "The next step is for people from different types of organizations to bring this data into their GIS projects. The contest is exciting because it encourages developers to create apps that increase opportunities for scientists and other communities to geospatially visualize this information in greater context." Agencies worldwide have been capturing earth observation satellite, radar, and sensor data and brokering it on the GEOSS platform. GEO Appathon participants are challenged to develop new, exciting, and useful applications for using this data in ways that make a positive difference to the future of our world. GEOSS partners encourage developers to use GEOSS data to build apps that address nine societal benefit areas: sustainable agriculture, biodiversity conservation, climate change and its impacts, natural and human-induced disasters, ecosystem management, energy management, environmental sources of health hazards, water resources, and weather forecasting. The Earth and Space Science Informatics (ESSI) Laboratory at the National Research Council of Italy Institute of Atmospheric Pollution Research (CNR-IIA) built the Discovery and Access Broker (GEODAB) tool that allows users to discover and broker data from various GEOSS catalogues. Esri has been working with ESSI-Lab to ensure seamless interoperability between the GEOSS datasets and the open and free data found on ArcGIS Online. The Esri Community Portal for GEOSS supports the seamless use of GEOSS data by the Esri community of users through GEODAB. Esri will be promoting the work of GEO with a special exhibit and session at the Esri International User Conference, July 14–18, 2014, in San Diego, California.